The Valentino archive is filled with unforgettable photographs. 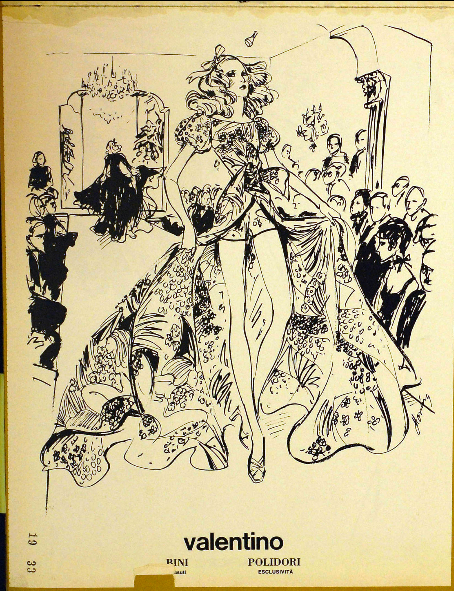 But there are a few iconic images made by hand—sketches that are the work of Manning, one of the great fashion illustrators. Born Maning Obregon, he began his career at the age of sixteen in Paris, and went on to cover fashion events in Paris, London and Milan for The New York Times and other publications. 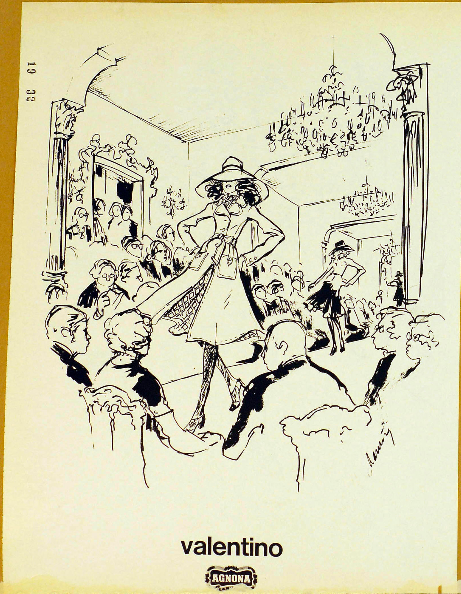 Manning was famed for the speed of his sketches—he inked looks as they came down the runway, capturing the energy of the shows and the attitudes of the models in the process. 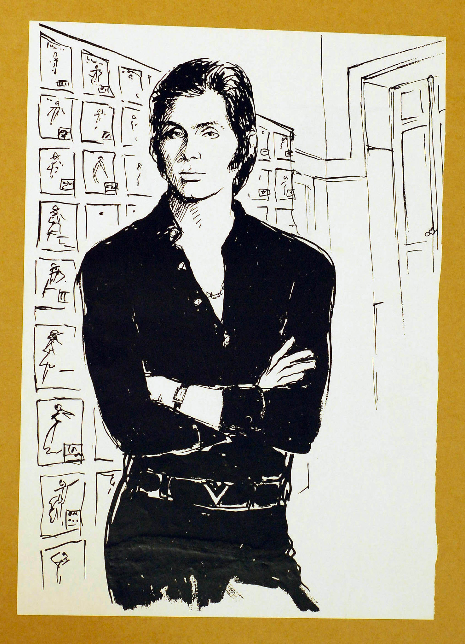 He also loved to sketch fashion personalities—Mr. Valentino very much included. Manning had a varied career. He staged fashion shows and trained models—with Bonnie Kay, the founder of Select, describing him as a “guru” to her girls. 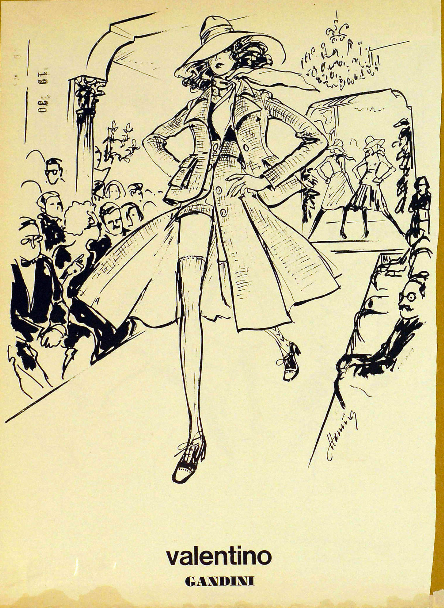 And after a stint sketching coiffures for Parisian hair stylist Maurice Franck in his teens, Manning returned to New York and presented his portfolio to Diana Vreeland, then the editor of Vogue. “I didn’t know who I was going to see,” he told a reporter from the Gadesen Times, reminiscing in 1986. “At the end of a long corridor was a door with smoke pouring out. What’s that? I asked. ‘Oh, that’s from Mrs. Vreeland’s scented candles,’ I was told.” Manning was hired that day, and his career spanned another thirty years. In that time, he was a fixture at the Valentino couture shows—sketching at what seemed like the speed of light.